Together with Jobcentre Plus and System One, TfGM offers two schemes to help jobseekers save money while finding work or starting a new job. Are you currently looking for a job but finding travel costs hard to meet? TfGM and System One, along with Jobcentre Plus, are here to help get you where you need to go by offering free and discounted travel to interviews, and to your new workplace when you get a job. Free one-day bus passes to get you to interviews. The System One day ticket for job interviews is valid for the specified date and can be used on any bus across Greater Manchester. Free travel on buses and Metrolink trams for 28 days and then reduced price travel tickets for three more 28-day periods when you have started a job. 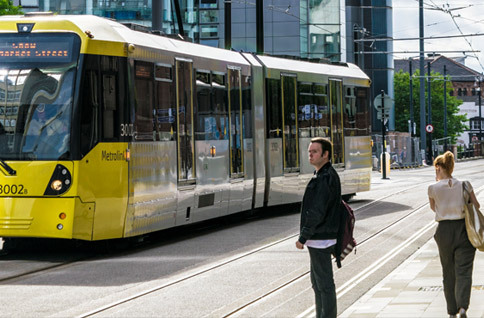 The ticket can be used on all Metrolink trams and most bus services in Greater Manchester, including those run by Stagecoach, First and Arriva. You can find a full list of bus companies which will accept the ticket at systemonetravelcards.co.uk. Simply ask your Jobcentre Plus advisor about our offers and they’ll assess whether you’re eligible. You can apply for the free one-day bus pass directly with your advisor. For the extended ticket offer you will need to be a Jobcentre Plus or Work Programme client who has gained employment and signing off the out of work benefit you are currently receiving. Your Jobcentre Plus advisor will support you to complete an application form and advise of the next steps, which involve taking the completed form to a TfGM Travelshop where you will receive your free travel card and voucher booklet. Cycling is a low cost and practical way of getting to work, especially where shift working or location rule public transport out. If cycling is your best option to travel to work but you don’t have a bike, we have an offer of a free refurbished bike, which has been fully repaired and checked. As part of the scheme you will also receive a free helmet, lock, hi-vis jacket and lights to keep you and your bike safe. Both the bike and accessories will be yours to keep after three months. If you’ve not previously cycled on the road, or are completely new to cycling, you can take part in free training offered by TfGM to get you up to speed. Jobcentre Plus claimants who have gained employment and are signing off benefit are eligible to apply. Talk to your Jobcentre Plus advisor who will support you to complete an application form and return it to TfGM. If your application is successful, you will be contacted by one of the bike suppliers so you can organise collection of your bike.